The customer is king. That old saying has been around for as long as someone sold something to another person and as long as there have been kings. Today, it holds to be even more true. Competition has not only increased, but it’s turned global. As a result, the choices that customers are offered have multiplied. Companies can no longer thrust their products onto the market and list their qualities, hoping for huge sales. While the market might respond to a novel product initially, it takes commitment and work to build a serious client base. The company has to take the initiative and establish a channel of communication with the customer or at least meet his requests with the best customer service possible. Your product might be among the best on the market, but without a team that has the necessary customer service skills, sales might be disappointing. E-commerce has been on the rise for years now, growing its customer base exponentially. People are increasingly getting used to buying and ordering online. Nowhere else can this be witnessed more clearly than in retail. Being the domain of multiple selling channels by excellence, it was to be expected from retailers to make use of the web to the max. However, as this explosion of customers and sales occurred, more and more retail websites started to appear. With similar formats, prices, and products, the main differentiator between online retailers became their customer service. 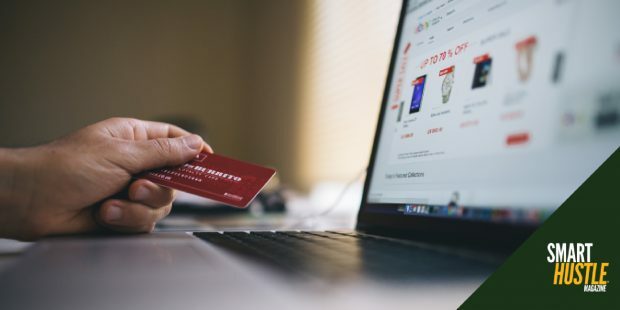 With the help of the following tools, the best online shops managed to retain existing customers and grow profits in the process. Surveys are the most commonly used form of scouting the market for customer feedback. Creating one through an online survey service is easy and free. To their benefit, surveys provide pinpointed information from diverse individuals. You will, therefore, gather an impressive quantity of data that is also of good quality, all the while showing that you are responsive to your customers. If sufficiently elaborated, complex surveys can function as road maps of your business and can point the areas of your domain where the potential for development is high. Motivating people to answer surveys, as they have become all too common, can be tricky. Some methods, although costly, can ensure you of the fact they will continue to be your customers afterward. Offering a free subscription period, for example, or the chance to win a more substantial prize can be good motivators. Focusing on the end-user perspective, usability tests follow the different usage patterns of one or more user groups in relation to the online business. They uncover the level of ease with which customers are able to use basic features of the site such as ordering or recovering a lost password. In UX (user experience) terms, a site should be easy to navigate, with intuitive options and pleasing formats. Testing that is precisely the purpose of a usability test. There are a number of programs that test the usability of a website. Moreover, some online marketing companies offer complete services of usability testing. Resorting to them in order to improve your website will greatly benefit your business. Improve the performance of your #ecommerce site using #customerfeedback. 3 ways you can. Even though people are increasingly getting used to purchasing goods online, fears remain. Statistics show that in 2016, e-commerce fraud increased by 33%. 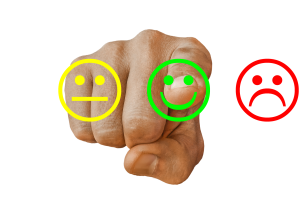 To combat initial skepticism in new customers and retain their patronage for a longer period of time, you can exhibit testimonials from satisfied customers. This creates a connection on an emotional level between the past and present customers, all to your direct benefit. 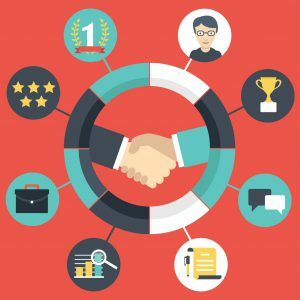 Strong and honest endorsements of your products from other people, business owners, partners or customers, can motivate future clients to purchase your goods. One of the main differences between the customers of today and those of the past is that at present, they are much more inclined to answer your questions. If in the ‘80s the first interviews regarding products were official and awkward, today everything is made easier through the internet. Beyond surveys and testimonials, you can use something as simple as a comment section to gather customer feedback. People are used to commenting online on multiple subjects and doing so for your retail business would not be too much of a bother. Moreover, an active comments section that provides good reviews from other customers functions as an addition to the testimonials page. It creates a sense of community and can make customers stick by your company for a long period of time. Customer Feedback works best when it relates to certain services or products. Aside from providing you with much-needed information to improve your business, it can also be turned into a resource to gain and retain more customers and build your brand. Dana Riviere is a content editor at HappyCustomersReview, with over 7 years of experience in building targeted digital campaigns and helping small businesses promote their services and grow their online presence.